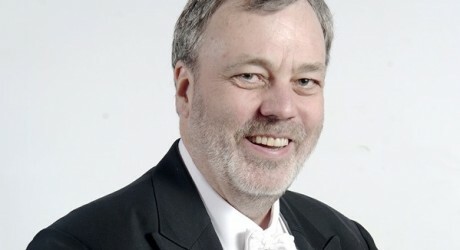 JAMES Clark will step down from the Royal Scottish National Orchestra (RSNO) later this month after five years as co-leader. James, who is also co-leader of the Royal Liverpool Philharmonic Orchestra, is based in Merseyside, and aims to spend more time with his family as well as concentrate more of his time on performing chamber music. James Clark’s final appearances as RSNO leader will be accompanying Ballett am Rhein at the Edinburgh Playhouse, where the Düsseldorf-based ballet company performs Seven, choreographer Martin Schläpfer’s full ballet response to Mahler’s Symphony No7. Clark became a well-known figure at the front desk of the first violins as guest leader following the retirement of Edwin Paling in 2007. In 2010, he was appointed to the specially-created position of principal guest leader, and in 2011 accepted the permanent joint leadership alongside Maya Iwabuchi. In August 2011, Clark won a Herald Angel Award, recognising his outstanding performances at that year’s Edinburgh International Festival. RSNO leader, James Clark, said: “I have fond memories of working with my colleagues at the RSNO and have hugely enjoyed the times we’ve worked together – it’s an ensemble with a strong artistic identity and dynamic quality and I’m proud to have played a part in its continuing development. The RSNO will be inviting guest leaders to join the musicians while the search for a successor to James Clark is undertaken. In October 2015, the RSNO begins the celebration of its 125th anniversary, coinciding with the organisation’s relocation to a new, purpose-built rehearsal and performance space in the centre of Glasgow. MEDIA RELEASE issued by RSNO. You too can post your story ideas for journalists (aka press or media releases), on allmediascotland.com. Email here for more information.